Freeform is one of viewers' favorite cable networks. Dating back to its run as ABC Family, the network has produced hit after hit while attracting a broader and broader audience. Freeform changed with the times when it adopted its new name, but it kept putting out the hits, like the popular Pretty Little Liars. And, hey, speaking of changing with the times while still keeping great content, here's a news flash: you can watch Freeform without cable. Yep, that's right: one of cable's best networks isn't really a cable exclusive at all. You can watch Freeform while being free from cable, and it's really not that hard to do. You'll save money and you'll be able to watch your favorite Freeform shows no matter where you are. Intrigued? Then read on, and let us show you how to watch Freeform without cable. Freeform is owned by Disney-ABC, but unlike ABC, it's not a channel that you'll ever find for free over the air. Freeform is very much network television, not broadcast television, which is why you might assume that you can only get it by paying for cable or satellite TV. But pay TV has evolved over the years, and we're no longer limited to just cable and satellite. Nowadays, we can also choose to subscribe to a live TV streaming service. What is a live TV streaming service? Well, it's exactly what it sounds like: a streaming service that specializes in live TV from the network channels you know and love. These services are sometimes called “skinny bundles” because they offer slimmer bundles of channels than cable and satellite tend to. Trimming the fat in this way helps keep costs down, which is part of why these services tend to be quite affordable. That's not the only reason that live TV streaming services are better than cable. There are other perks, too, like the fact that the online delivery makes it easy to watch on a wide variety of devices – even while on the go. Not every live TV streaming service has Freeform in its channel selection, but those that do are the perfect way to watch Freeform without cable. Check out the list below for the lowdown on all of the best live TV streaming services that will give you access to a Freeform live stream. Hulu is already a popular streaming service among fans of streaming video on demand (SVOD) services. But the service is making quite a splash in the live TV streaming service space as well, thanks to the relatively recent addition of Hulu with Live TV, which is exactly what it sounds like. Hulu's live TV service will cost you $39.99 per month, and you can check out our extended thoughts on it by reading our review of the service here. Or, if you're the kind of person who would rather see it for yourself, you can just click the free trial link below instead. You'll be able to check Hulu out for seven days, risk-free. Sling TV invites its subscribers to create their own skinny bundle. Skinny bundles are all about avoiding paying for channels you don't want, and Sling TV has taken that very seriously. After signing up for one or both of Sling TV's base packages (“Sling Orange” or “Sling Blue,” each of which cost $25 per month but which cost $40 per month when purchased together), subscribers can add “extras” to create a customized plan that suits their interest. Freeform can be found in one – but not both – of the base packages. So make sure that you choose Sling Orange ($25 per month) to get your Freeform live stream ‘ what you add after that is up to you! You can test out Sling TV for free for one week by clicking on the link below and signing up for the service's free trial offer. 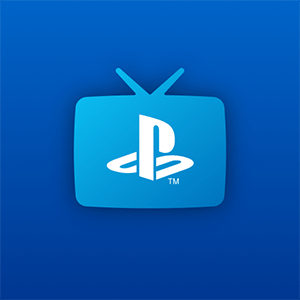 PlayStation Vue is Sony's take on the live TV streaming service. Subscribers can choose from bundles in a range of size and price points. The smallest is “Access,” which will run you $44.99 per month. The larger and pricier bundles all also include a Freeform live stream, so you can watch Freeform without cable no matter which PlayStation Vue bundle you choose. You can try this service for free for five days by signing up for the free trial – to do that, just click on the link below. YouTube TV is different from plain old YouTube. There's no user-generated content here: just the great live TV you'd expect from any skinny bundle. Google's take on the live TV streaming service costs $40 per month and includes live streams of tons of popular network television channels, including Freeform. You can try out YouTube TV for free by clicking on the link below and signing up for the service's free trial offer. The free trial runs for seven days. You've got options when you subscribe to DirecTV Now. You could go with the smallest and cheapest bundle, which is “Live a Little” ($40 per month), or you could choose a larger and pricier package. Whichever route you take, your Freeform fandom will be covered. 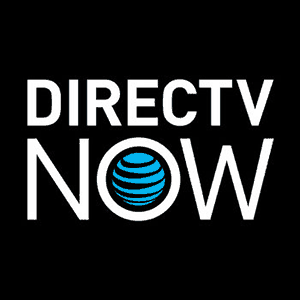 A Freeform live stream is available in each and every one of DirecTV Now's bundles, meaning that you'll be able to watch Freeform without cable no matter which DirecTV Now deal you opt for. You can read our review of DirecTV Now here, but don't just take our word for it: you can sign up yourself and try the whole service out for free for seven days, risk free. Just click the link below to get started. Can I Watch Freeform on Roku, Fire TV, Apple TV, or Chromecast? Good news: all of the major skinny bundle services that we covered above offer great platform support, meaning that it's easy to watch Freeform without cable on your streaming device of choice. Roku users, for you that means that you can choose between Hulu with Live TV, Sling TV, PlayStation Vue, YouTube TV, and DirecTV Now. Fire TV users, you guys don't have an app for YouTube TV at the time of this writing. That leaves you with Hulu with Live TV, Sling TV, PlayStation Vue, and DirecTV Now as your options for streaming Freeform live on Fire TV. Hulu with Live TV, Sling TV, PlayStation Vue, YouTube TV, and DirecTV Now each have an app for Apple TV. Streaming to Chromecast is easy with Hulu with Live TV, Sling TV, PlayStation Vue, YouTube TV, and DirecTV Now. Android TV, the Google-backed streaming platform in use on multiple devices from different manufacturers, can run apps for Hulu with Live TV, Sling TV, PlayStation Vue, and YouTube TV. Sorry, no DirecTV Now app as of this writing! Small screens aren't neglected, either. 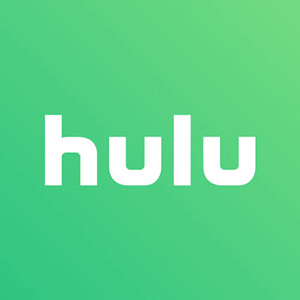 Hulu with Live TV, Sling TV, PlayStation Vue, YouTube TV, and DirecTV Now each offer mobile apps for Android and iOS devices. Hulu with Live TV, Sling TV, PlayStation Vue, YouTube TV, and DirecTV Now each also offer desktop and/or in-browser apps that make it easy to watch live TV on your desktop or laptop computer. Hulu with Live TV, Sling TV, and YouTube TV work on Xbox One video game consoles. PlayStation Vue also works on a video game console, and you can probably guess which one: yes, it's Sony's PlayStation 4, of course (it also works on PlayStation 3).